Progressive Christianity, had it existed in the first century, would have found opportunities to shame Jesus himself. You only love “the Jesus I follow” because he’s not Jesus. He’s you. 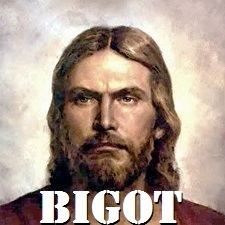 Of course progressive Christians don’t actually try to shame Jesus, but that’s only because he’s Jesus. Instead, they re-read him until he sounds like them, and not like Jesus. Had Jesus not said and done those things, if, say, a rival religious leader had done it, the criticisms practically write themselves. “See how Jesus isn’t like those other leaders who don’t have female disciples, unlike our Jesus who treats everyone with dignity. See how other figures pushed an exclusive view of marriage that shames us and leaves us unsafe and unwelcome.” But it’s Jesus, so you can’t say that. I know, conservatives do it too, disagreeing with aspects of his theology but not allowing themselves to see that they disagree with him (because it’s Jesus) so they re-read him until he sounds like them (the doctrine of hell is a great example of this). But there’s a special irony when the ostensibly real, radical, authentic followers of Jesus do it. You’d hate Jesus if he was anybody else. All the reasons you have for shaming the people you do in fact shame, you have for shaming Jesus. Posted on April 4, 2017 November 28, 2018 by GlennPosted in Christianity, social issues, theology and biblical studiesTagged feminism, Jesus, LGBTI, progressivism, Social Justice Warriors. Next Next post: Does the principle of determination show that the universe had a personal cause? Ho Ho! Spot on! Writing as someone whom Glenn might regard as liberal in some ways (though I share his view of the Bible) this made me laugh. Liberal Christians pride themselves on tolerance but rarely show it to “fundies”. And many have incredibly closed minds. I remember a liberal Religious studies teacher who said the Virgin birth was impossible because it violated science. She admitted that a virgin birth of a female was scientifically possible and that at one time it had been thought not to be but vehemently denied that scientists might change their minds about the possibility of a virgin birth of a male child. Yet, lo and behold, it is now argued that the virgin birth of a male child might be possible. I don’t care, I believe in miracles but the dogmatism of the liberals both religious and political never ceases to amuse me. If your Jesus holds all the same views as a 21st century liberal arts graduate you have probably made him up. Well said. Interesting dichotomy of progressives and conservatives. Reminds me why I’m always inclined to take a step back from it all. At the moment, my argument is about Easter. I know, this is an old rant that tends to raise that phantom of legalism. But not really, I say. Every time I find a new assembly or congregation of believers and encounter a tradition of Easter, or Lent, or whatever, my immediate reaction is to run. I mean, what other error have they been corrupted by? Hell? More than likely. Glenn, is there not also a ‘special irony’ when those who claim to be conservative and so custodians of the true religion that claims Jesus as founder do it? I am responding to your remark in closing: ‘But there’s a special irony when the ostensibly real, radical, authentic followers of Jesus do it.’ Isn’t it actually a problem because both sides, and even those who feel themselves stuck in the middle, do it? Tim, I guess I shouldn’t have used the phrase “do it,” because my reference to conservatives was a reference to them doing something a little different from what this blog is about. The talking about and shaming rather than critically engaging, in my view, is more of a problem for progressives. I also think the difference is one that I highlighted in this article – that progressives actually do claim to be the real, “better,” authentic followers of Jesus in a way that conservatives don’t claim, as far as I can tell. You may well be right that as you describe it this is a besetting sin of ‘progressives’. I have been made more aware of this outside the church following Trump’s win in the USA. How far one estimates it happens in the other direction inside the church depends on one’s experiences. My experience suggests that Christian Conservatives are fairly quick to suggest that anyone less ‘sound’ than themselves is not really and truly a follower of Jesus. Therefore I think it is in different ways and different contexts a problem for both ‘sides’. Wow. That packs a wallop. I wonder how progressive Christians would react if asked if they really think that if they encountered Jesus He would agree with them. Like, do they really think He would say, “Yeah, the Scriptures are wrong. It’s not an abomination for a man to lie with a man.”? As for hell, there is Revelation 14:9-11.